2 years ago, when I visited Japan in a nutshell, I promised myself that I would go back when the cherry trees were in full bloom, and coincidentally for the 8th of April, which is my namesake day. And that’s what I did. 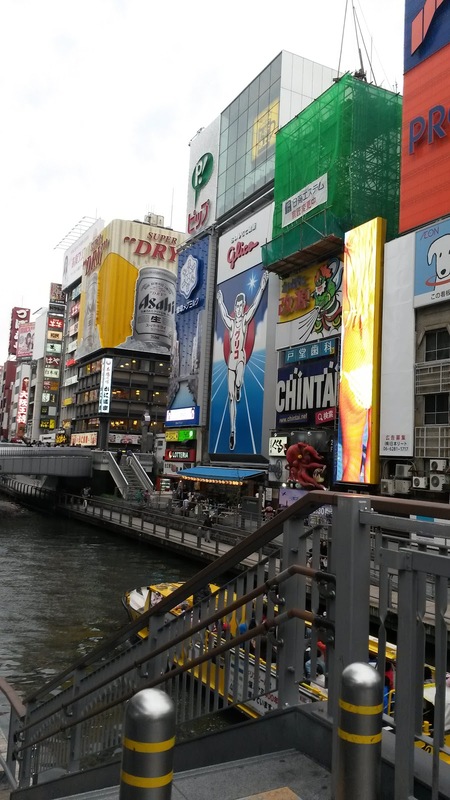 I planned 10 days of trip, taking advantage of the Easter weekend – the only 4-day weekend the Brits have, with a full week in Kyoto, and I filled it with… well at first, I filled it with nothing. I had no plan, apart from going back to the Utano Youth Hostel. I planned so lightly that, up until the middle of the trip, there was one Saturday night I didn’t know where to sleep (but that’s a story for later). So I arrived on Saturday morning in KIX and in Utano by 3 PM, an hour too early to check in. So I left my suitcase, and went back to see an old friend: Ninna-ji, one of many World Cultural Heritage Sites in Kyoto. And the picture I had taken 2 years ago, that only showed a bud now showed a blooming beautiful flower. I was so happy! My timing was perfect! For the next 4 days, it kept raining, with wind to finish the rain’s work of destroying the flowers. But that’s ok, because when you travel a lot, you learn to make the most out of every situation, even the wettest ones. So on Sunday, I started the real visit of Kyoto, focusing on all the wonderful things that I hadn’t had time to see the first time. At this minute, I should mention that I bought the Book “7 paths to the heart of the City” by Diane Durston. It gave me a rough idea of what I should do, even though I knew I wouldn’t exactly stick to it. I still recommend it though, it is a beautiful book. 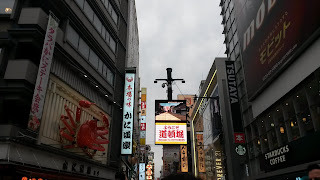 I started with Shinbashi, in the very early hours of Sunday, where the streets are empty apart from newly wed taking pictures in traditional costumes. After admiring the canal and the flowers resisting the rain, I continued forward to Gion, and that's how I discovered all those posters about "light-up" events in several temples during the Cherry Blossom season. These were completely in Japanese, so not very accessible to a Gaijin, but using the small amount of Kana I know, I could tell the dates and time where these were taking place. You will see later on that, thanks to that, my trip took a turn for the better. So my advice is, even though you can't read Japanese, keep an eye on posters on walls on the street with pretty pictures of temples and cherry blossoms illuminated together, you are in for a wonderful surprise. Continuing on to Gion, I have to say, to be honest, the daytime is not as exciting as the nightlife. Then I walked to Kiyomizu-dera, which I had already admired my first time around, but I really wanted to see the difference with the cherry blossoms. 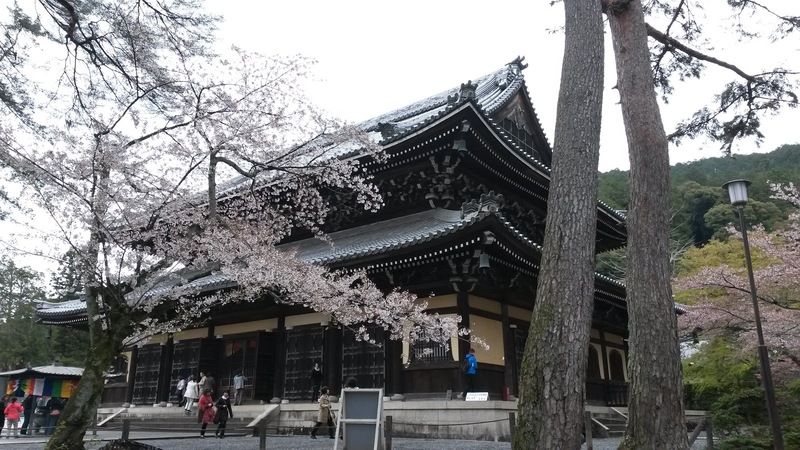 To be fair, Kiyomizu-dera would be impressive in any kind of weather, so the cherry blossoms didn't change much, apart maybe for the amount of people touring around it. After coming back to the hostel, I met a German girl for whom it was the first time in Kyoto, and together we took the bus #10 to Kawaramachi Marutamachi. So we walked the same path I took in the morning, but this time at dusk. Shinbashi by night is very impressive, making you feel intimate with the atmosphere of the Tea Houses. Then we went to the "light up" in the Shorenin temple, and it was our first view of how the Japanese see the Cherry blossom and how they add to its original beauty in a way only Japan can handle. Soft music, changes of light, highlights on the cherry trees, everything seemed to be in harmony. On Monday, following one of the "paths" from the book, I took bus 10 from the Hostel to Kitano Tenmangu Shrine, allowing me to discover a nice temple in the quiet hours of the morning. If you follow the side road from this temple, you can apparently find a whole neighbourhood full of traditional artisan shops, but I preferred to walk on Imadegawa St toward the bus 46 stop on Senbon St, in order to go North to Kamigamojinja, the Shrine for the God of Thunder. Note: Even if the bus stops right in front of the temple entrance, I suggest you go back to cross the bridge, because, given the Northern location of the temple, you can see the moutains surrounding Kyoto in the horizon, and with the cherry blossom, it is a grand view. 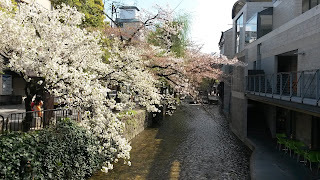 After admiring the garden full of cherry trees, I continued East toward Shake-machi, a street following a canal, with traditional houses along the way. It is not well known, so it's nice and quiet, but there is a sacred tree and the house of Nishimura, the famous Shinto priest to check out. Since I had time, I decided to pay a visit to the Imperial Palace, and it was a lucky draw, because it turned out the entrance was free just for 2 days, for people to admire the Ikebana. I won't put pictures of the Ikebana, because it would spoil the fun of discovering the work of these artists. But the famous cherry trees still held on tightly to their last flowers, so even without the Ikebana, it was well worth it. Since I had to take bus 59 to go back to the hostel, I decided to stop by Kinkakuji, that I hadn't planned on seeing, because my first time was really good, with the sun and everything. But still, it is always a great sight for tired eyes. After resting a few hours at the Hostel, just before dusk, I went back to Gion, admiring the theatre by night. I walked up to Yasaka Shrine and Maruyama koen, which also had a "light up" by night, and once again, the cherry trees were the stars of the show. I continued to stroll to Kodai-ji, which offered a fantastic "light and sound"
And of course, I could not have stopped my walk there, I had to see Kiyomizu dera by night, and of course I was not disappointed. On Tuesday, I had to change hostel, because, for some reason, on the 7th and 8th of April, the Utano hostel was full. Before I left the neighborhood, I took the bus 10 to Myoshinji (even though it is definitely doable by foot) and was able to admire Taizo-in and its weeping cherry trees. 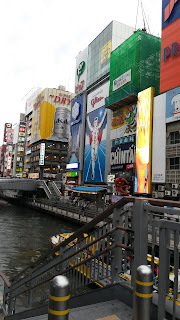 Then, after taking back my suitcase from the hostel, I took the bus 26 to Kyoto Eki to change to an Airbnb south of the station, in a much more urban neighborhood, but close to the station (obviously) and to Toji. Right next to it, the river has cherry trees bordering the path along. Very cool. Just before dusk, I walked to Toji to see, once again (you must have guessed by now) the "light up" by night. And once again, I was not disappointed. All the cherry trees were spectacularly lit, and Toji being itself impressive, let's just say it was a photographer's paradise. On Wednesday, I decided to walk the Philosopher's path, but considering the weather, it was more for a nice stroll than to see the cherry blossoms, as most of the petals were on the ground. At the end of the path, I followed the crowd to Nanzen-ji, crossing paths with youngster for High School graduation. Nanzen-ji is very impressive in a non show off way. It has wooden temples, but also brick arches that make for great pictures. Following Kamogawa and Takase-gawa, I had lunch in one of the traditional restaurants hugging the river bank, then moved on to go down the canal and admiring all the bridges crossing the canal with cherry blossoms all around. At this point, it is worth noting that I only had great feedback from Japanese when they saw me with the Yukata, a lot of smiles or "Nice costume" for the bravest of them. Daikakuji trees still had some flowers in them, so it was again a great opportunity for pictures. I then took bus 28 to Tenryu-ji, the Temple of the Heavenly Dragon, World Cultural Heritage Site. - and walked once more on the bamboo path, but this time in traditional outfit, which was great. This part of Kyoto has a lot of couples or friends doning their pretty Yukata, so I felt a bit less weird wearing my rented one. Of course, I finished my stroll to Arashiyama and its very picturesque bridge. On Friday, I took the train to Uji, and the Byodin temple that appears on the 10 yen coin. This was once again taken from the “7 paths to the heart of the City”. The Entrance ticket includes the Hoshokan museum, which features famous murals with amazingly beautiful colours. Back in Kyoto, I walked from the station to Rokkakudo Temple, just in time for dusk and the "light up", which featured more Ikebana. I then walked to Nijo-jo, for an amazing "light and sound" by night. The inside of the castle was closed, but the projection on the walls features the flowery painted panels that Nijo-jo is famous for. I forgot to mention that during that week, I still did not know where to spend Saturday night, but around 3 days in, I had an epiphany. The Himeji castle that I could not visit last time had just reopened, and it made so much sense to go now, so I booked an Airbnb close to the castle and finally had my week planned. So On Saturday, just before I took the train to Himeji, I had time to kill, and decided that my old friend Ninna-ji was the best way to do it, and oh my, was I inspired. I knew as soon as I approached the temple that something was going on, because the entrance was packed. And why? Because the Omuro cherry trees, which bloom later than the others, featured pure white blossoms. What a bliss! It was really like swimming in a sea of coton white flowers! But all good things must come to an end, and my train for another white marvel, Himeji, World Cultural Heritage Site and National Treasure, was waiting for me. It had just reopened after a 5 year restauration, and after my disappointment last time, I was really looking forward to it. On the way, I mistook the omnibus train instead of the express one, and traveled through some stations stopping almost on the beach, it was unexpectedly summery. After getting lost in Himeji (yes it is possible) and discussing with the two tenants in my Airbnb, they advised me to go to the park by night for a great view of the illuminated castle. The best surprise was that the interior park was also open, again during a limited time for the cherry blossoms, and on top of people picnicking on the grass in the exterior park, there were concerts and costumes demonstrations. On Sunday, what was there to do other than Himeji by day? So I enjoyed the Interior Palace which was newly renovated, then a long tour around the gardens. After a good half day of walking around the castle, and as the gardens were started to fill with lots of people, I decided it was time to take the train to Osaka. There was a lot of activity in the gardens, which was very pleasant, especially with the smell of grilled octopus! All in all, this trip enabled me to erase the frustration of the first trip, and I managed to take time to see everything I wanted to see in Kyoto while also simply enjoying the atmosphere around the cherry blossom. Of course, there are so many other things to see in Japan, and most likely the North will be my next Japanese destination. What is your favorite place in Japan?